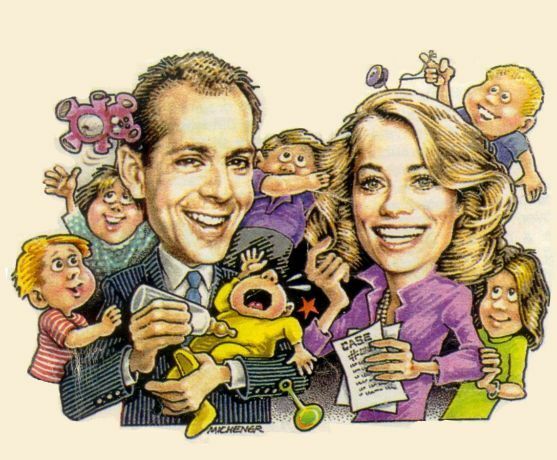 Welcome to Moonlighting's Virtual Ninth Season! Please choose the episode that you would like to read from the list below. Did she really say what she said? Are David and Maddie infanticipating? Or is David hearing things? Uh oh....it's the boys against the girls again....or is that the Dads against the Moms? David gets a little taste of fatherhood. David takes a wild ride, but there is no place like home. Testing One, Two, Three....David and Maddie have some important decisions to make. A mouse, a louse, and a muddle headed spouse. A season finale to bring down the house...errrrr....office!